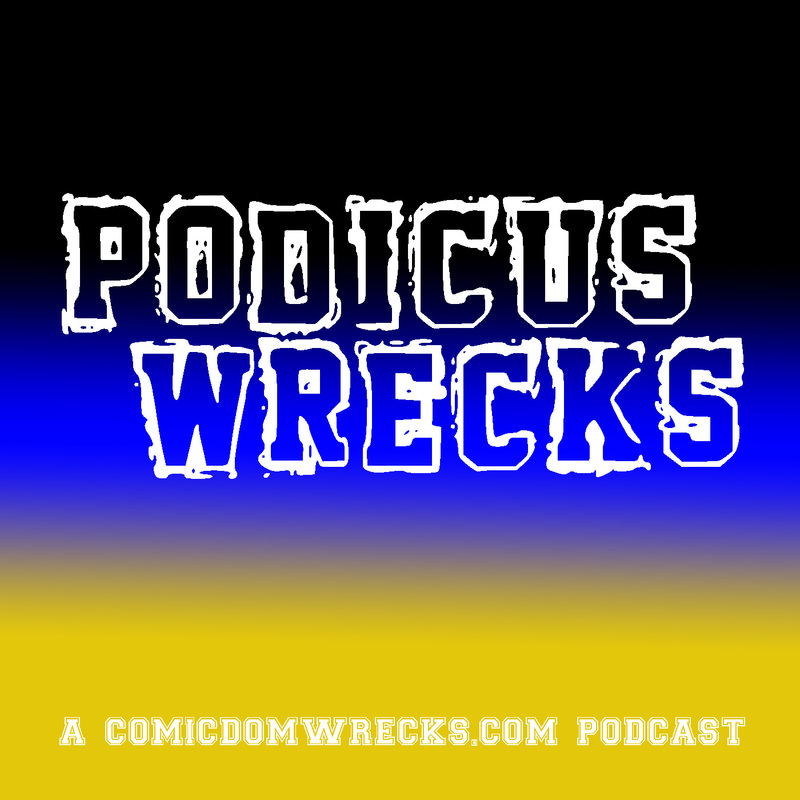 Saturday Morning Cartoons #52 – Comicdom Wrecks! There’s something strange in Comicdom Wreck’s neighborhood! Who do we call? Time for our latest Cartoon trip back to the mid-1980s! The Real Ghostbusters were a spin-off cartoon of the 1984 movie, Ghostbusters. It ran from 1986 to 1991, with a name change to Slimer and the Real Ghostbusters in Season 4. The “Real” came from a naming dispute between it and a “Ghost Busters” cartoon/franchise by Filmation. This cartoon is the first, non-pilot episode of Season 1, called “Killerwatt”. It features the original four Ghostbusters from the movie, plus the secretary Janine and Slimer. Enjoy! We start with reports throughout New York City of power outages. An electrician climbs a power pole… and sees a wave of electricity, through the power lines, barreling towards him! And the waves has a monster face! It goes around the guy but, as you would expect, the guy was spooked. We then go to the famous Firehouse, where the Ghostbusters make their home. Ray is fixing “Fondue Casserole” for dinner. It looks HORRIBLE. Slimer, however, has no objections about trying to eat some… and eating everyone else’s bowls. On a side note: ‘Peter Venkman’ is voiced by the same guy that originally did the voice of ‘Garfield the Cat’! I never noticed that as a kid! Slimer: not amused that he was told to stay away from Ray’s food. 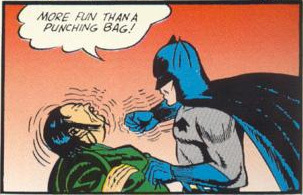 Before Ray could do more damage by offering seconds, the office alarm goes off! Janine alerts the guys: the Mayor called and said that the Department Store is haunted. Janine flirts with Egon – blowing him a kiss and wishing him luck – before they head off. The outside of the Department Store building is practically dancing with electricity – never a good sign. The shoppers that were in the store, now were outside, forming a tunnel for the Ghostbusters to walk through. If you remember the scene in Ghostbusters where the guys were released from jail to fight Gozer, then you get an idea of what this scene in the cartoon looked like. Buffered by the cheers from the crowd, the guys enter a strangely, eerily dark store. Suddenly, another of those “electric waves” appears – this time, going through the stores’ wires. Every electrical appliance and piece of equipment within close proximity of those wires springs to life… full of teeth. Egon was attacked and nearly eaten by an oven; Peter and Ray were attacked by vacuums; Winston was surrounded by min-vacuums, and even Slimer was sucked up by a sweeper. All were also harassed by drills. A bleak outlook for the Ghostbusters! Peter finally breaks free and saves Egon, via a Proton Stream blast to the oven – this reveals a ghost that was inside the oven; Ray and Winston disengage from the vacuum swarm; and Slimer is still in a vacuum. All of the appliances were zapped, and the ghosts that were revealed were captured. Slimer finally is freed by Ray, but not before Ray inadvertently zaps him with a Proton Stream. Slimer was not amused. The shoppers thank the Ghostbusters before stampeding back into the newly cleaned store. Back at HQ, Egon loads the captured ghosts into the Containment Unit… then the power goes out. Ghostbusters taught us all that a Containment Unit with no power is BAD. Thankfully, Egon remembered that he installed a backup generator. Unfortunately, generators aren’t immune to these ‘electric waves”. The generator comes to live and runs out of the room. The power goes out again. “Don’t want you to take this the wrong way, but…. in 50 seconds, we die!”, Egon proclaims. Winston removes a generator (the Alternator?) out of Ecto-1. Peter hooks the bike up to whatever contraption Ray and Winston put together. Janine stops screaming and starts pedaling the bike… which is revealed to be connected to power cables on the wall. Egon is still counting. 5. 4. 3. The power comes back on, due to Janine’s pedaling. The guys celebrate for a moment, then rush out to Ecto-1 (their car) to track down the source of these “electric waves” and the power outages. As they run out of the building, we see the girl whose bike Peter grabbed. She’s holding a stack of cash – good. Peter didn’t steal from a kid! Janine stayed behind, still pedaling. The next stop is Brooklyn. Ecto-1 isn’t faring so well, since it has no generator (“Alternator”? ); it sputters to a stop, against a guard rail. While the guys get out to discuss a strategy, Slimer gets behind the wheel. He manages to release the break, sending the car through the guard rail. Through some sheer luck, Ecto-1 doesn’t crash into a power plant wall. The main villain – the source of those electrical waves – then shows itself. Killerwatt makes his 1st ‘official’ move against the Ghostbusters by zapping Ecto-1 to life. Ecto-1 is easily the scariest of the ‘monster pieces’ that have become animated! it (“she”, according to Ray) chases the guys… as they chase a supposedly fleeing Killerwatt, complete with a Battle Theme Song. They elude Ecto-1 but run into more trouble: Killerwatt leaves a group of animated equipment and heavy machinery behind. They easily chase down, capture, and carry the Ghostbusters away. Slimer managed to elude capture. The Ghostbusters were dropped down some pretty big tunnels and heights into an open area. Killerwatt shows up again, talks trash about how bad he is, and takes control of a large, multi-legged machine. I don’t know what it is, other than ‘spooky’. Peter, tired of the talk, zaps Killerwatt with his Proton pack…. to no effect. The proton stream was consumed! Killerwatt makes his ultimate play: he starts siphoning power directly from the power plant. This causes the power plant to “stand up” from its base. The Ghostbusters are at a loss… but thankfully, Slimer was not. He disables Killerwatt in the simplest way possible: he unplugs the power generators. With no power available, Killerwatt’s machine shuts down, causing the power plant to settle back on its base. Told you it was a simple solution. Killerwatt emerges from his machines, where he promptly gets lit up and captured by the Ghostbusters. The power issue is over! Oh, and Slimer remembered to plug the power back in. A little time later, there is a parade for the Ghostbusters (an impressive feat, considering it takes days to get a parade organized). Slimer inadvertently slimes some people by blowing kisses at them. Inside Ecto-1, the Mayor thanks everyone for a good job getting the power back on. Egon and Ray suddenly remember that Janine…. … is still pedaling. She didn’t realize that the power was restored. But she does remember to “get those guys” when they return. I like the animation, seeing it for the first time in nearly 30 years. It is better than a few of the Cartoons that I’ve already watched and reviewed. The voice acting isn’t too horrible, either, with a cast that included Lorenzo Music (Peter Venkman, S1-S2), Frank Welker (Ray, Slimer, others), Arsenio Hall (Winston, S1-S3), and Maurice LaMarche (Egon – also “Brain”, from ‘Pinky and the Brain’). This was a fun first episode for the ‘Ghostbusters’ franchise. I do remember that I wasn’t a huge fan of the ‘Slimer’ portion of cartoons, once it expanded in Season 4: there was still 30 minutes of Ghostbusters, but the last 30 minutes were divided into 2 or 3 Slimer ‘shorts”. Nevertheless, Comicdom Wrecks and the city of New York survived the schemes of Killerwatt.